For years I have struggled with understanding the highest-rated gaming franchise of all time: Half-Life. I beat Half-Life (1998) ten years after it was first released, and I simply did not understand why it was considered to be so great. To me, it felt like a standard shooter, where a single man kills a grossly unrealistic amount of enemies because of the simple fact that he is a video game character, with a player behind him that can bring him back from death itself, time and time again. 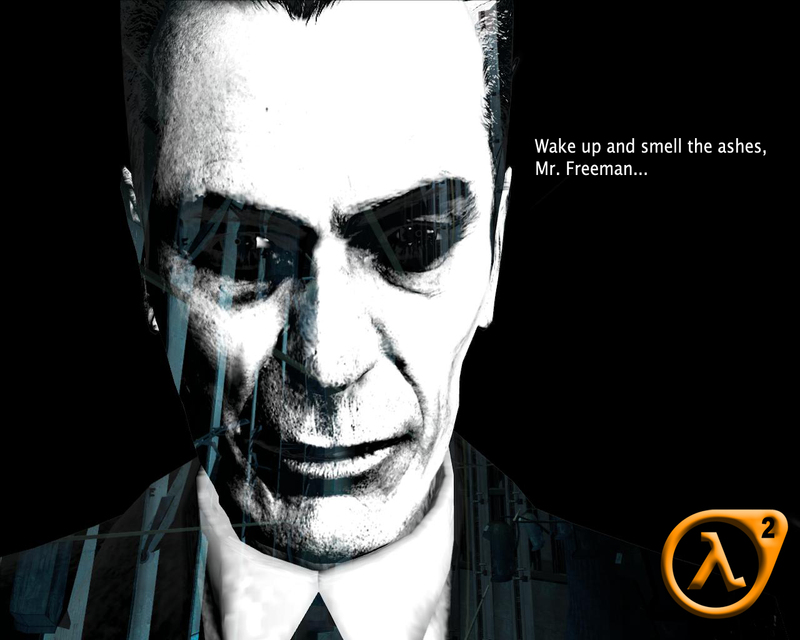 Half-Life did not seem like a brilliant example of interactive narrative that it has so often be hailed as, especially compared with the likes of Bioware’s Mass Effect or Teletale’s The Walking Dead. I took a five year break before beginning, Half-Life 2, because the first simply did not engage me. I finally went back to the series because, when I started writing about games, I felt like a film critic who hadn’t seen Citizen Kane (which, incidentally, I haven’t), or a playwright who had never seen Hamlet. How could I have anything of merit to say about games when I myself hadn’t experience what many consider the best the medium has to offer? So I played Half-Life 2, beginning to end, and left just as confused as I entered. I did not understand what made Half-Life 2 so brilliant, and, until a few days ago, I still didn’t. This revelation came over the weekend, when I was watching YouTube playthroughs of two of this year’s biggest AAA releases: Naughty Dog’s The Last Of Us and Quantic Dream’s Beyond: Two Souls. I normally avoid the ever popular YouTube phenomenon of Let’s Plays because they remove a core aspect of our medium: interactivity. It would be like watching a movie without a screen or reading a book without nouns. However, due to a number of reasons involving my frustration with the PS3 controller, I watched these two games beginning to end. interactivity, I only got to experience the brutal, violent side of Joel, which is certainly a very powerful part of his character, but, again, its not the part I am really interested in. The violence serves as context for the soft, tender moments. I get to be Joel brutally murdering countless others, but I never get to be Joel coping with the loss of his daughter, or struggling to let Ellie in after twenty years of emotional numbness. I never get to be the Joel I want to be, I only get to watch him playing out his part. I left The Last of Us with the feeling that I liked it when it was trying to be a movie, but not when it was trying to be a game, and it was with this mindset that I began Quantic Dream’s Beyond: Two Souls. Quantic Dream was made famous by its so-called “interactive movies”, Heavy Rain and Indigo Prophecy. These games forsake traditional gameplay in favor of quick-time events, strategic button presses, and limited conversation options. Having never played a Quantic Dream game, I was very optimistic, as I had read that these games strongly favored narrative over gameplay. 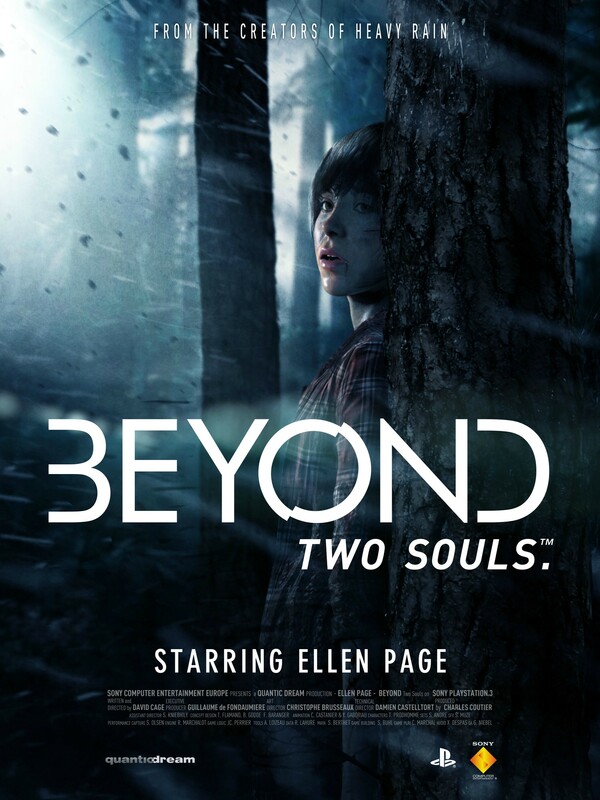 Beyond, released in October of 2013, had received praise for its brilliant voice acting and motion capture by famous Hollywood actors Ellen Page (one of my favorite actors) and Willem Dafoe, and was even recognized by the Tribeca Film Festival. At first, all of this excited me; video games were getting the respect and recognition they deserved! However, having now finished the eight hour YouTube video of the game, I find my opinions reversed. Beyond: Two Souls is an excellent, eight hour CGI movie. The story is fun, nuanced, and powerful. In terms of narrative alone, it is on par with and maybe even greater than my all-time favorites such as Mass Effect or Deus Ex. The voice acting is brilliant, the motion capture and character animations are unparalleled, and the game as a whole takes yet another step towards climbing out of the uncanny valley. It felt real, authentic, and, most of all, human. The only time it doesn’t feel human is when it tries to be a game. The quick-time events and strategic button presses all break the flow of the experience. They lead to awkward pauses and strange stumbles in what is an otherwise beautifully animated game. I loved the world of Beyond: Two Souls, I loved everything it was doing except when it tried to include me in it. When interactive portions emerged, I groaned, as I knew it would break the brilliant story unfolding before me. The interaction was never anything more than “do this to make the story go forward.” And, on top of that, the actions themselves were boring and not innovative. “Press x to open drawer.” “Move the controller to strum a guitar.” Every single one of these events (except for the combat, oddly enough) broke the flow of the story, and took away from the experience as a whole. Throughout the game I started thinking of other ways they could have done this, ways that don’t create glaring flaws that would have made the notion of interactivity feel less like the developer’s reluctant acceptance of my existence and more like the developer’s placing me in the world itself. But, even then, I realized that it couldn’t fix the fundamental flaw of the game: I did not feel like Jodie. Jodie was the protagonist of a story, doing her own thing, and I was there to occasionally push some buttons to help her along. Then it hit me. Half-Life. Half-Life tells a story, not one that I found myself falling in love with, but one that is told entirely through interactive means. Half-Life lets the player experience the world unmediated by developer control, through their own eyes, on their own terms. Every event that happens in the game is not meant to be viewed from a specific angle with the right lighting, but happens in the world the way we experience real events: pure, unmediated, and subjective. Half-Life is a series that has no shortage of spectacle, or powerful character moments, but all of them are experienced by the player as we experience real life: in first person. Third-person has its place, as games such as Spec Ops: The Line or The Walking Dead have demonstrated, but first-person is the method that lends it self the most to the advantages of our medium. Half-Life does this beautifully. It doesn’t cut out the boring parts of the experience, only moving from action set piece to action set piece, but instead tells its story in real time. Every level in Half-Life is directly connected to the previous one, not skipping over travel or time, and this serves to further emphasize what The Last of Us and Beyond lack: a sense of total immersion. While The Last of Us and Beyond are great games, perhaps the best games that these respective styles have to offer, their styles of narrative delivery, story as reward and interactive movies, simply do not convey narrative in as interactive a way as Half-Life does. Half-Life may not have unconventional mechanics that allows the player to interact with the narrative, but it is structured such a way that their absence goes unnoticed. Right now, the games industry is having a conversation of sorts about how gaming and film relate, about how narrative and mechanics mesh, and how our medium will tell stories as opposed to others. I think The Last of Us and Beyond: Two Souls contribute greatly to this conversation, and are themselves brilliant stories, but, in the context of this discussion, are better appreciated as cautionary tales than apexes of interactive narrative delivery. Half-Life, and games like it, are another experiment, ones that doesn’t use the century-old techniques pioneered and refined to perfection by film, but their own techniques, which, while not as polished as film, can make contributions to interactive narrative that far exceed those of other mediums. This entry was posted in Concepts and tagged beyond two souls, games, gaming, half-life, the last of us on January 10, 2014 by Stephen Rubio.